Finally - the woman's answer to growing rich safely! Women today face more money challenges than ever before, from managing careers and families to finances - the demands on their time and resources are increasing. Bad financial advice abounds, and it can be hard to know what to do. Award-winning author Tristi Pinkston teams up with bestselling authors Brett Kitchen and Ethan Kap to bring you Million Dollar Diva. Experience Tristi's real-life transformation from stuggling in debt to million-dollar retirement! The 5-step, simple, safe, and predictable process to change living paycheck-to-paycheck to enjoying wealth and security. How to give yourself a $400 per month raise without asking the boss or working a minute of overtime. "Spend Like a Diva." How to have anything you want - nice vacations, eating out, trips to the mall. It's all part of the plan! The secret formula of how to completely eliminate your debt in 1/3 the time and save tens of thousands on interest costs in the process. You'll see why all the TV gurus are wrong! 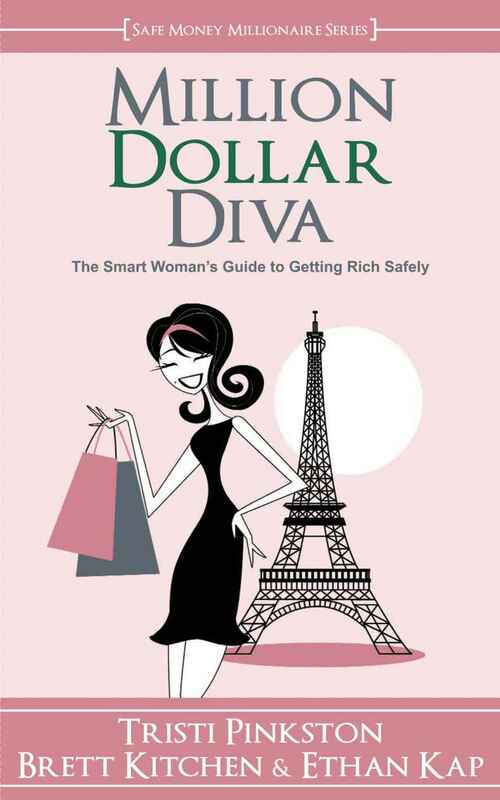 5 Million-Dollar-Diva investing strategies that will grow your money safely and predictably every year, without the guesswork. Plus! Discover the key to stop fighting and quarreling with your spouse about money forever! Imagine yourself living debt-free and building a million-dollar retirement safely and securely, so you can have total confidence in yourself and your future. I'm pleased to present to you my friend Tristi's latest book about saving money. Who of you doesn't need a book that can save you money? This little gem of a book is all about taking small steps that can correct the course you are on and lead you toward a better retirement. The format of this book is easy to read and told in an entertaining, conversational way. With the help of financial advisors Brett Kitchen and Ethan Kapp, Tristi helps you see how you can cut spending, eliminate debt, and secure a retirement. I recommend this book to everyone--get your copy right away! And don't forget to check out Tristi's website and the Million Dollar Diva website. Tristi has recently changed her eating lifestyle and lost over 80 pounds! This woman is changing her life and her books can help you out!